There were 690 press releases posted in the last 24 hours and 154,041 in the last 365 days. — Darlene Nash, Owner, Encore Green, LLC. CHEYENNE, WYOMING, UNITED STATES OF AMERICA, July 2, 2018 /EINPresswire.com/ -- Wyoming based agriculture company, Encore Green, LLC has just released the results of their pilot water test, which took barrels of produced water from an oil well and converted it into water that is ideal for beneficial-use. This solves potentially three problems at once. The oil industry produces 890 billion gallons of produced (by-product) water in the US each year. With a tiny percentage used for fracking, this water is disposed of, either by injection into the ground or left to evaporate. Meanwhile adjacent to these same oil wells that are producing this water are the nation’s farms and ranches, which are in desperate need of water for crops and herds. At the same time, over in the town, municipalities struggle for relief for the growing demand for water for homes and businesses. The primary goal of cleaning the water has been for beneficial use for the agricultural community. What makes these results landmark is that the produced water was cleaned within an economic model that is better or the same as the cost of conventional produced water disposal. Previous efforts have typically left one of the participants bearing a higher cost. “I’m a big believer in that everyone has to win. So, the financial model had to be fair and stay inside the current economic parameters. Encore Green is an agriculture company and our goal has always been to be good stewards of our water. Water is vital to crops, stock, and many other beneficial uses. Now, we can take the billions of barrels of water that we are essentially just throwing away or injecting into the ground and turn them into beneficial-use,” says Marvin Nash. Encore Green has worked the past year to bring all the parties together for this proof of concept test. Encore Green insists that the victory is, however, not only a technology victory, but rather it’s a victory in methodology. Encore Green is open to conversations with citizens concerned about water, the energy industry, ranchers, famers, or local municipalities. 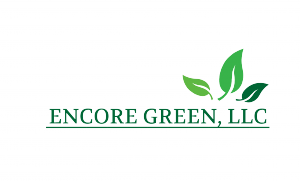 To speak with Encore Green, LLC, visit EncoreGreenLLC.com or call 818.470.0285.